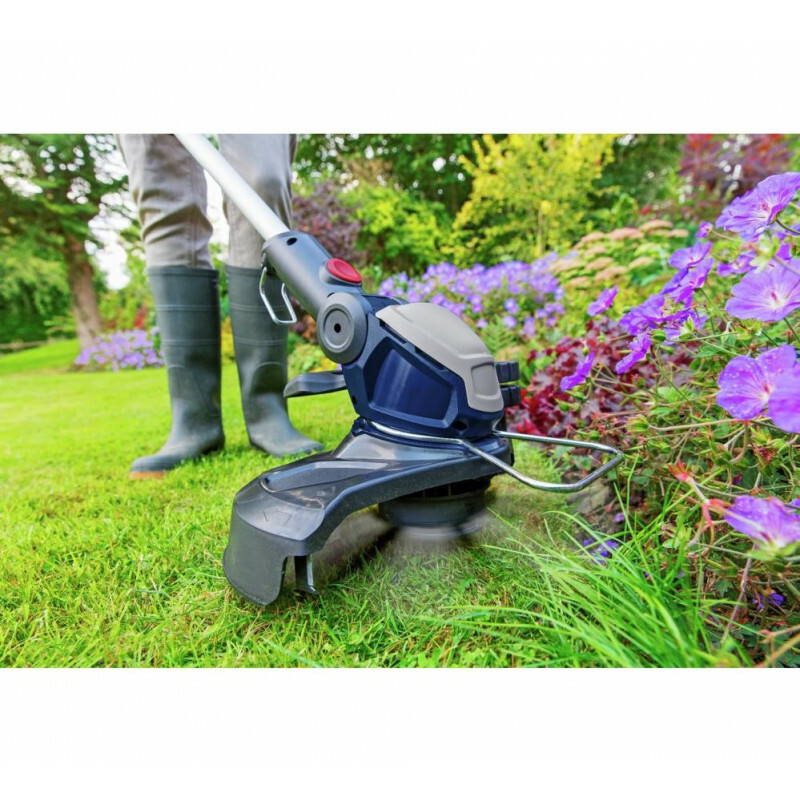 For accuracy while edging, a wheel supports the weight of the trimmer. 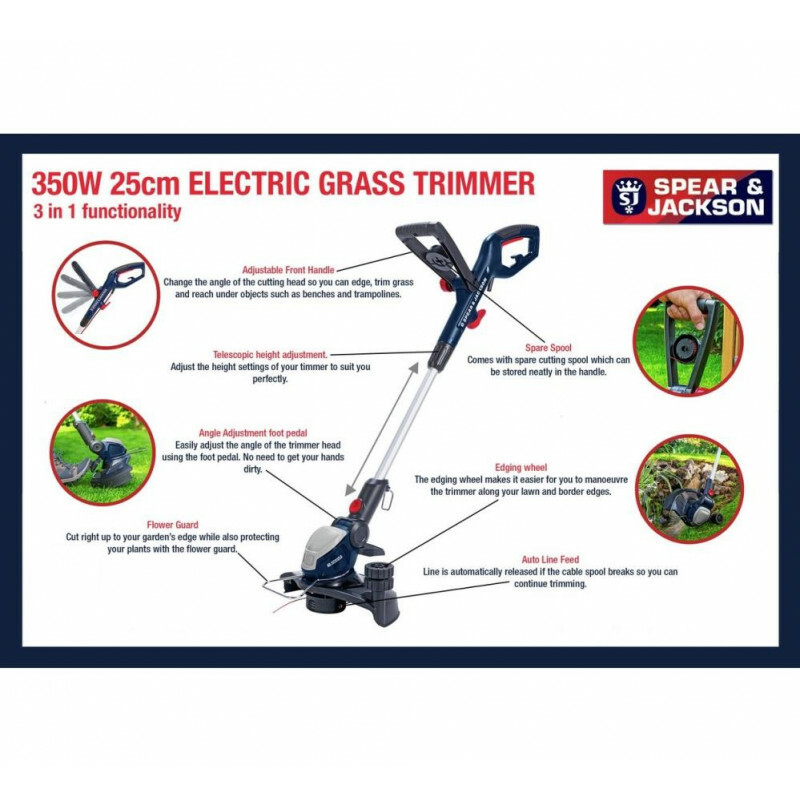 This Spear & Jackson 350W 25cm grass trimmer is ideal for cutting fine to coarse grass. 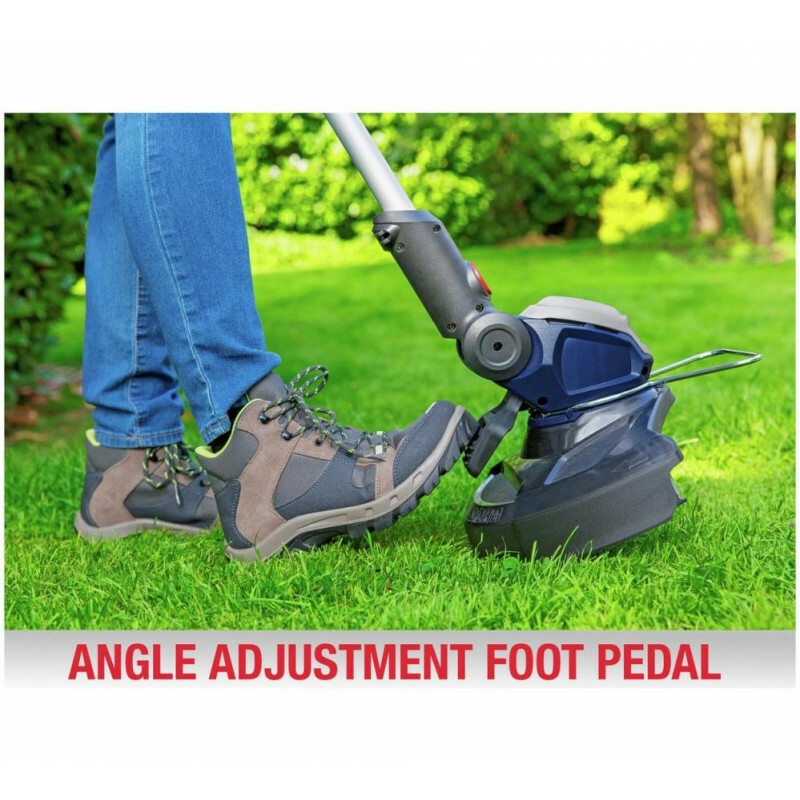 With this 3-in-1 grass trimmer you can change the angle of the cutting head easily with the foot-pedal adjustment; so you can edge, trim and reach under objects such as benches and trampolines. The flower guard lets you cut right up to the edge of your garden while protecting your flowers and plants. 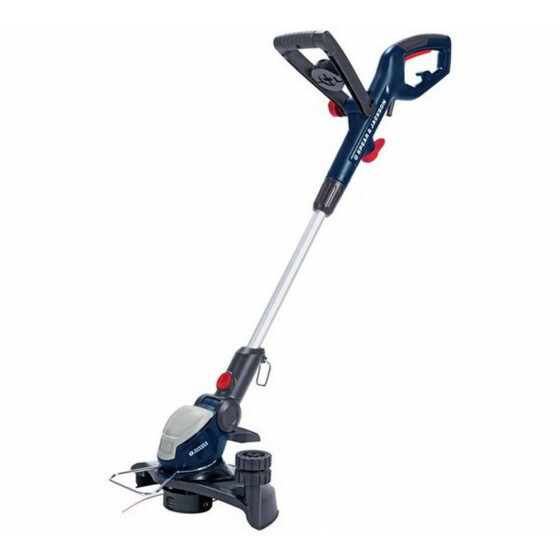 This grass trimmer has been designed with comfort in mind, featuring an adjustable front handle and telescopic shaft to adjust the trimmer to suit your height. Should the line break the auto feed spool system will dispense extra line automatically. The 10m cable length will reduce the need for an extension cable.